The No Frills grocery store guarantees low prices, which is a big selling point for customers across Canada. Their approach to selling “No Name” brands allows products to stay at low prices. The chain regularly promotes their No Frills deals and even offers No Frills coupons right on their website. Check out the No Frills flyer and the No Frills weekly ad here. Go to No Frills online to find out No Frills locations and No Frills hours. Make use of the convenient No Frills store locator! The website also features delicious recipes to make using products you can buy in-store. 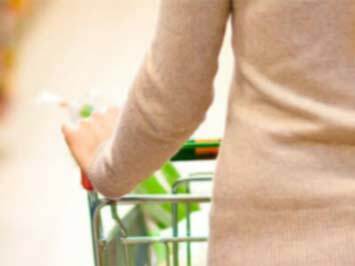 Get cheaper groceries because No Frills says 'no' to extras like: costly displays, expensive fixtures, big advertising budgets, costly overheads, in store meat cutting or baking in store. No Frills was founded in 1978 by Loblaw Companies Limited, a subsidiary of George Weston Limited. The first No Frills store – a converted Loblaws outlet previously slated for closure – was launched in East York, Toronto. There are over 200 franchise stores located in nine Canadian provinces. Do you want to receive more No Frills deals by email?